The SS Portia, the first of the Bowring ships to carry that name, was a 732 ton schooner-rigged steamship. The Portia was a sister ship of the Miranda, and one of the original Red Cross Line ships of 1884. She was wrecked in July 1899 on Big Fish Shoal, Nova Scotia, on a voyage from New York to St. John's, via Halifax. Reproduced courtesy of the A. C. Hunter Library. 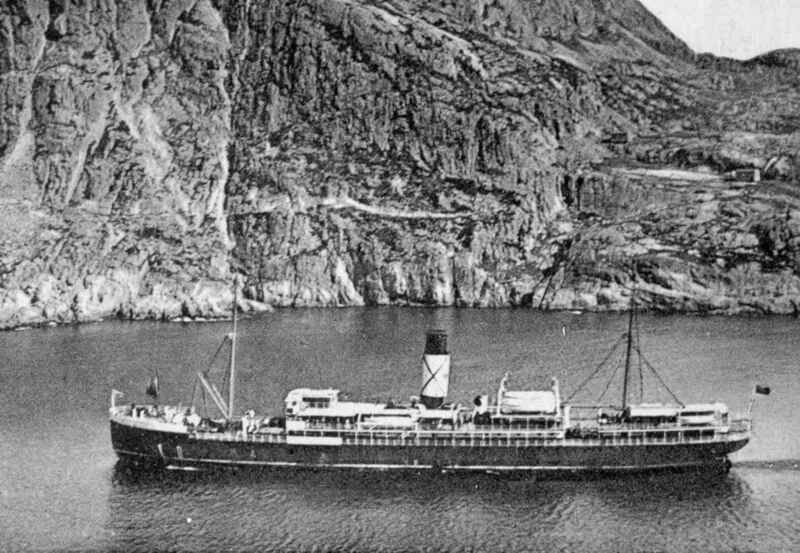 The SS Miranda, sister ship of the SS Portia on the St. John's to New York run. This photo, circa. 1885, shows the Miranda docked near Harvey and Company premises and March and Sons premises, on the north side of St. John's harbour. On August 23rd, 1894, the Miranda struck a rock and sank off the coast of Greenland while transporting members of the controversial Dr. Fred Cook's polar expedition. Reproduced courtesy of Memorial University Libraries. The SS Silvia, formerly known as the Baghdadi, was purchased in 1892 from the Persian Gulf SS Co., London. The Silvia was placed into service on the St. John's to New York run, about May 1894, to temporarily replace the Miranda. However, with the loss of the Miranda later that year, she continued to provide service on the St. John's to New York run. On March 14, 1908, the Silvia was wrecked in Vineyard Sound, off Massachusetts, on a passage from New York to St. John's. Reproduced courtesy of Memorial University Libraries. The SS Rosalind, initially named the Tosari, was built about 1890 for the Sunda Line, Hamburg. She was sold in 1891 to the German East Africa Line and renamed the Admiral. In 1902, she was bought by C. T. Bowring & Co. and renamed the SS Rosalind. In 1912, the Rosalind was sold to St. Lawrence Shipping Co, Montreal, and renamed City of Sydney. However, according to the manifests, even after her sale, she was still used to provide service on the St. John's to New York run, under her new name, until March of 1914. The SS Florizel was built for Bowring's Red Cross Line in 1909, to replace the SS Silvia. A sturdy steel ship, with ice-breaking capability, she was considered the pride of Bowring's fleet. On February 24, 1918, the Florizel was wrecked on Horn Head Point, near CappaHayden, Newfoundland. Out of the 78 passengers and 60 crew members, only forty-four (17 passengers and 27 crew) survived the wreck. 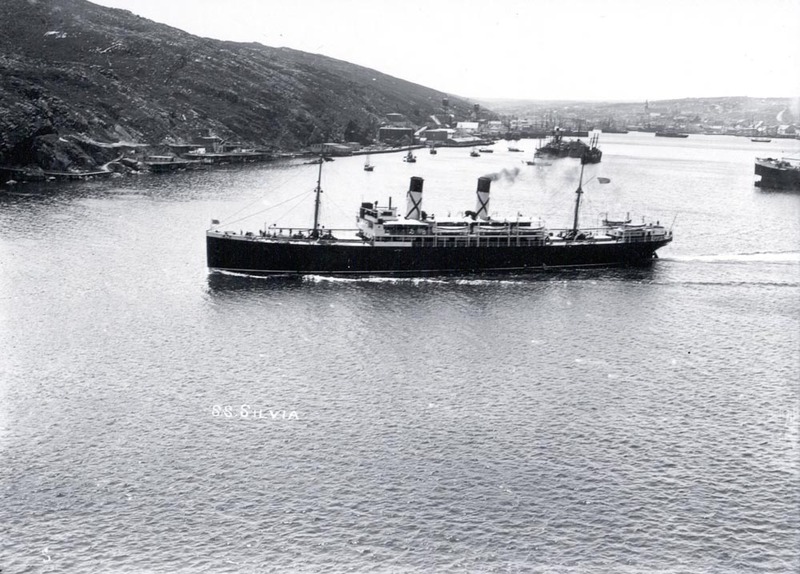 The SS Stephano, passing through the Narrows at St. John's. The SS Stephano was torpedoed and sunk off Nantucket by the German submarine, U-53, on October 8, 1916. There was no loss of life, since the passangers and crew were allowed to abandon the ship before it was looted and sank by the U boat. Reproduced courtesy of the A. C. Hunter Library. The SS Prospero was built in 1904 at the yard of Murdock and Murray, Glasgow. 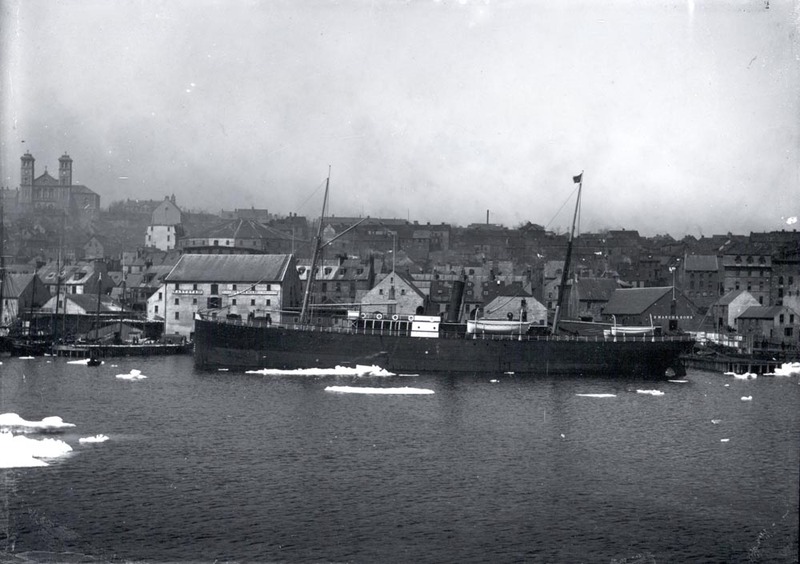 Although used mainly to provided steamship service around Newfoundland, with the loss of the SS Florizel in February 1918, the Prospero was used for about a year on the St. John's/Halifax/New York run. 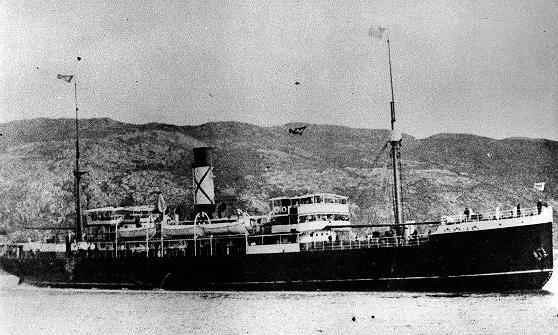 In 1919, the Prospero returned to providing cargo and passenger carrier along the south and west coasts. She continued in this service and was sold by the Railway Commission in 1937, after the aquisition of a new coastal boat, the Northern Ranger. The SS Portia, sister ship of the SS Prospero was also built in 1904 at the yard of Murdock and Murray, Glasgow. Like her sister ship, she also became well known for her service to coastal Newfoundland. The Portia was used only briefly in 1918, on the St. John's/Halifax/New York run, to fill the void left by the loss of the Florizel. 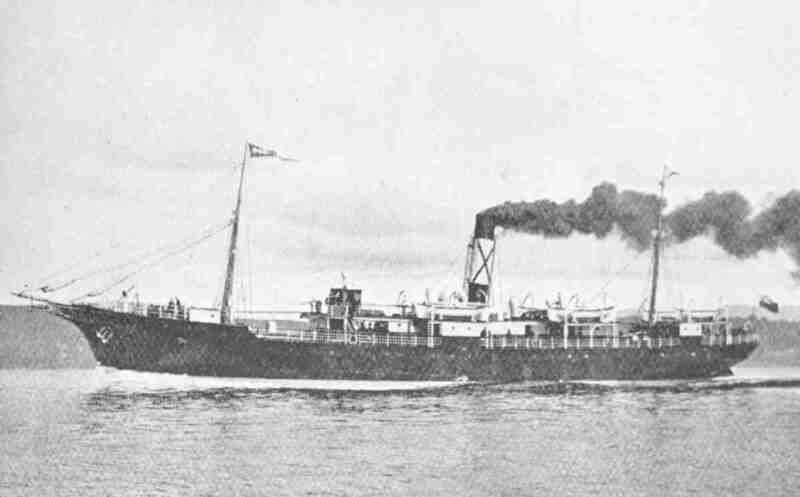 When Bowrings' subsedized coastal steamer contract expired in 1923, the Portia' ownership passed to the Newfoundland government. She continued in this service and was sold by the Railway Commission in 1940. The SS Rosalind (third) was built in 1911, and initially named the Lady Gwendolen. 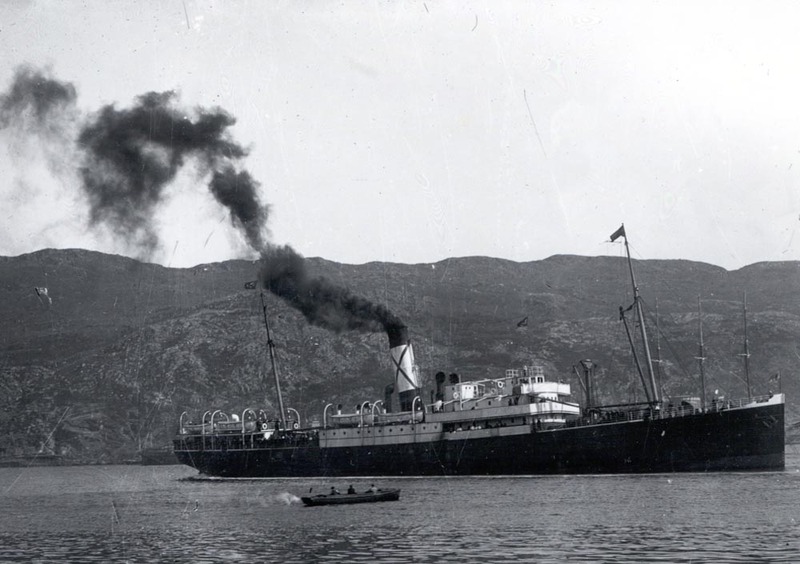 In 1919, she was purchased from Dundee, Perth & London Shipping Co., and renamed the SS Rosalind. The Rosalind was used on the St. John's to New York run as a replacement for the Florizel. In 1929, she was part of the sale when Bowrings sold the Red Cross Line to the Bermuda & West Indies SS Co., Hamilton. She was sold in 1936 to Yugoslavia and renamed Lovcen. The SS Silvia (third), built in 1909 was formerly known as the Orel. In 1922, she was purchased from the Russian Volunteer Fleet renamed the Silvia. About July of that year she was assigned to St. John's to New York run. In 1929, she was part of the sale when Bowrings sold the Red Cross Line to the Bermuda & West Indies SS Co., Hamilton. She was sold in 1934 to Williamson & Co, Hong Kong. The ships listed above were the main ships involved in passanger service between Newfoundland and New York. However, the manifests also show that there were a number of other ships/vessels that entered the Port of New York declared that they had departed from St. John's. Some of these ships may have been under contract to Bowrings', but it is hard to determine exactly their role in transportation between the two ports. One such ship was the SS Morwenna. She was a passenger / cargo ship built 1904 by Caledon Shipbuilding Co, Dundee for Yeoward Line, Liverpool and originally named the Ardeola. In 1912, she was sold to St. Lawrence Shipping Co., Montreal and renamed the Morwenna. From March 1914 and to Februray 1915, this ship made several runs between St. John's and New York. On 26th May 1915, the Morwenna was captured, torpedoed, and sunk by U-Boat U.41 while 72 miles SE from Fastnet on voyage Cardiff to Sydney, Nova Scotia. Another name that shows up consistently in the manifests, from June 1917 onward, is the Alembic. A photo I found in the Job Photography Collection at MUN's Maritime History Archive shows a three masted schooner by that name on drydock at St. John's. I could find no other information on this vessel, but the manifest indicates that the schooner was owned by Job & Co., and appears to carry only a crew but no passengers. The other interesting thing that I noted on several manifests that I viewed is that the crew is listed as being British, even though it is obvious that most, if not all are, Newfoundlanders. Other ships/vessels mentioned arriving from St. John's were the Venitia or Venezia, the Bornu and the IDS Adolph, however, no other details were found.